We’ve all heard the buzzword a million times: energy efficient. The more traction that the green movement gets, the more focused we become on switching to energy efficient appliances and lighting. It all makes sense, too, because the more we cut back on our non-renewable resources, the longer they’ll last. One of the best ways to cut back on energy usage (and put some extra money in your pocket) is to use energy efficient lighting. 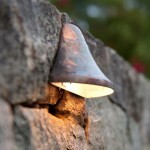 The following types of lights are the best for outdoor lighting energy efficiency. LED lighting – If you read our recent blog about LED lights, you already know that these are great for energy efficiency and can be used both indoors and outdoors. Since LEDs can last for years without needing to be replaced, they’ll save you a good deal of money. This also saves on manufacturing costs for the company, which means they use less energy to actually create and sell the bulbs. LEDs use less energy than any other type of light bulb for the amount of light it puts out. Fluorescents – Most people aren’t a huge fan of straight fluorescent bulbs because of the color that they emit, but fluorescents have come a long way in terms of aesthetics. 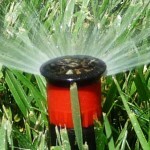 They look much better now than they used to and they can save you a lot of money in energy savings. If the population of the state of California were to use fluorescent lighting, they would save up to $74 million dollars per year altogether. That’s a pretty significant chunk of money and translates to good savings for individuals and companies as well. 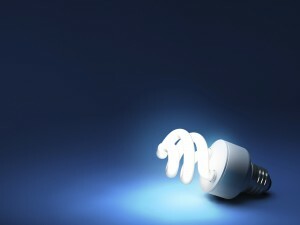 CFL – CFL bulbs are basically miniaturized fluorescent lights. 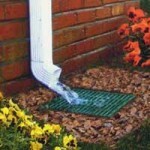 They take up a much smaller space and the design allows for easy energy efficiency. They aren’t as energy efficient as LEDs, but they are quite a bit cheaper and last 10 times longer than a typical incandescent bulb. They also use 50-80% less energy than incandescent bulbs. CFLs take a little bit of time to reach their full level of brightness when you first turn them on, but they’re certainly bright enough to handle lighting your backyard at night. Saving money and energy is a rewarding feeling. 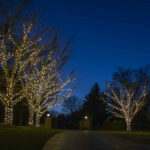 Make sure that you try to choose energy saving bulbs when you’re deciding on outdoor lighting. 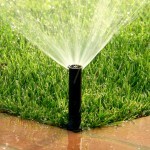 At Aqua-Bright, we know how to light your landscaping in order to keep your energy bill down and your safety up. To talk to someone about outdoor lighting solutions, in Baltimore, Maryland or the surrounding areas, call Aqua-Bright today at 410-489-9009 or take a tour through our website. This entry was posted on Friday, June 6th, 2014	at 7:56 pm	. You can follow any responses to this entry through the RSS 2.0	feed. Both comments and pings are currently closed.